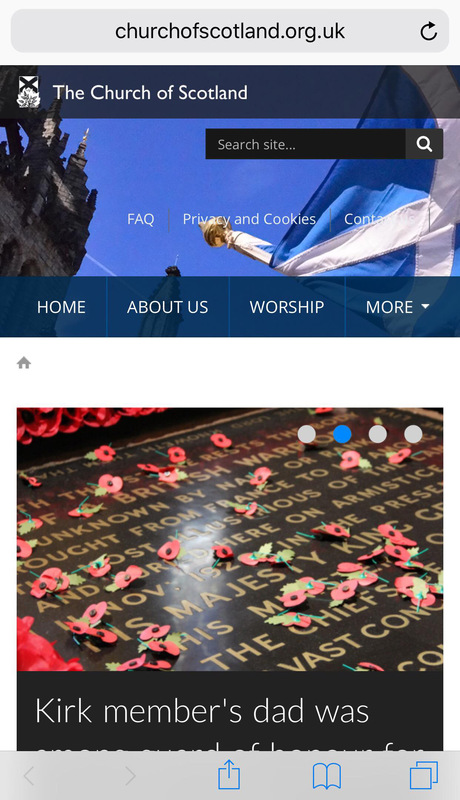 Add the Church of Scotland website to your phone or tablet's home screen for quick and easy access. You will be able to drag the website's icon around your home screen like any other app. Enter a name for the shortcut (e.g. The Church of Scotland). Note: If you are using the Firefox browser then tap the Menu button followed by the Page option, and then tap Add to Homescreen. Tap the Share button on the browser’s toolbar – this looks like a square box with an arrow pointing upward. (The toolbar is at the bottom of the screen on an iPhone and at the top of the screen on an iPad). 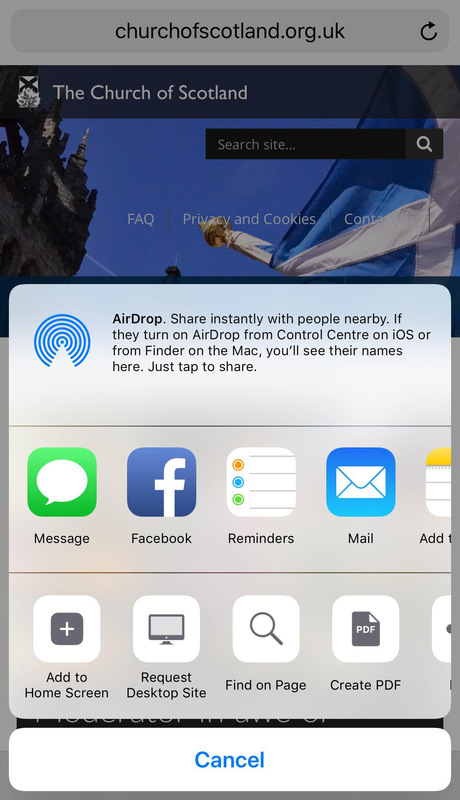 The Share menu will appear. Tap Add to Homescreen in the menu. You may need to scroll along the menu until you find this option. 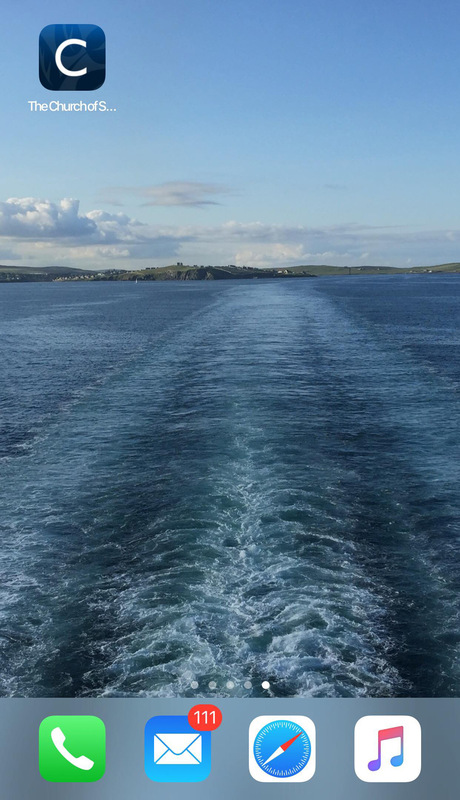 Name the shortcut (e.g. 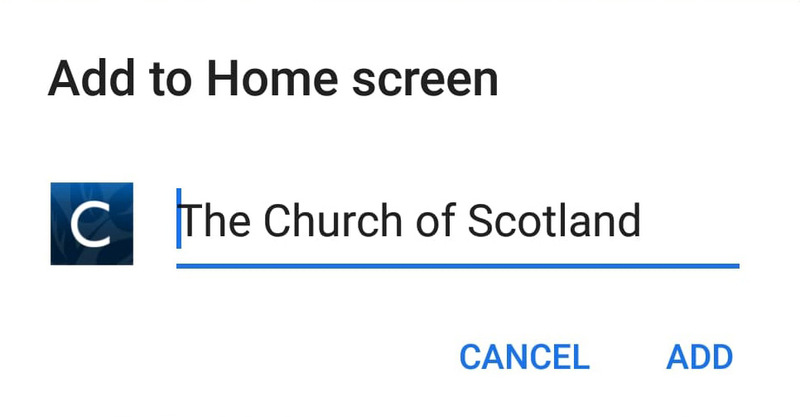 The Church of Scotland) before tapping the Add button. 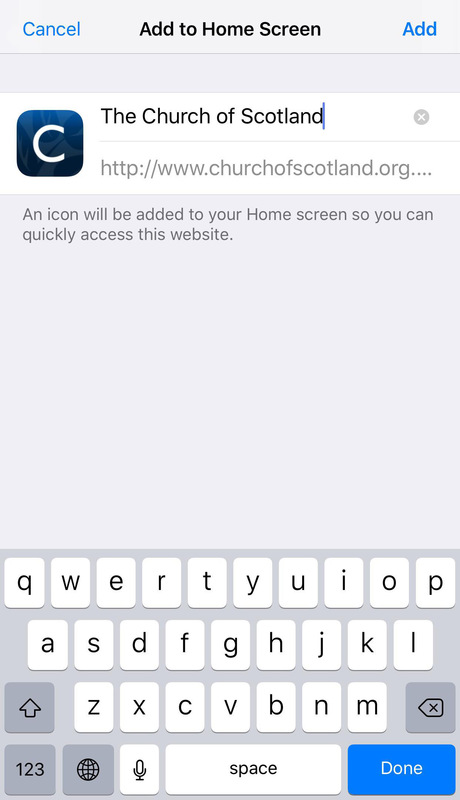 When you tap the Church of Scotland icon on your home screen, it will load the website in a normal tab inside the Safari browser app. Note: If you are using a browser other than Safari on an Apple device then you will not be able to create a shortcut for the website on your home screen. Apple only allows their Safari browser to carry out this function.